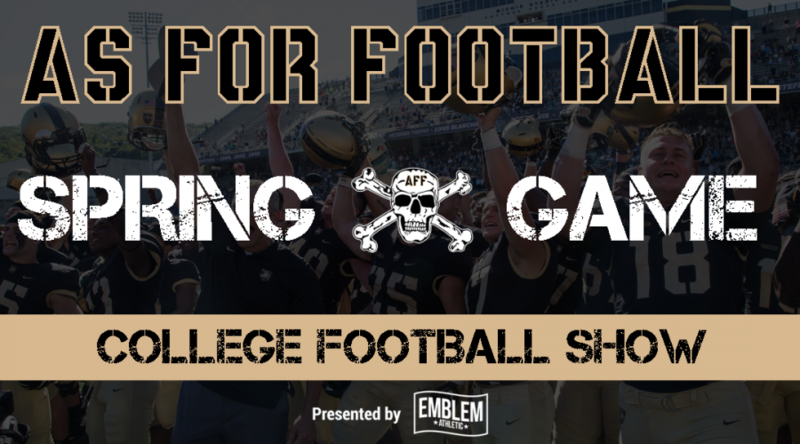 The As For Football's College Football Show presented by Emblem Athletic with your host Rob Wright. 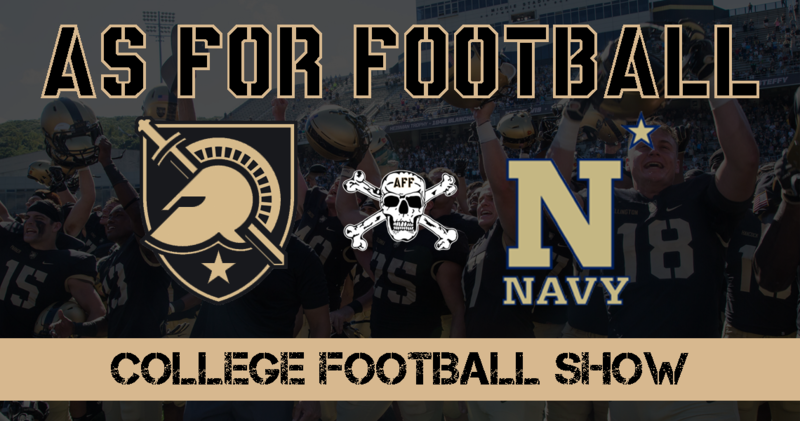 During this episode the team and special guest Jordan Horvath get you caught up following the conclusion of Army's Spring Scrimmage. 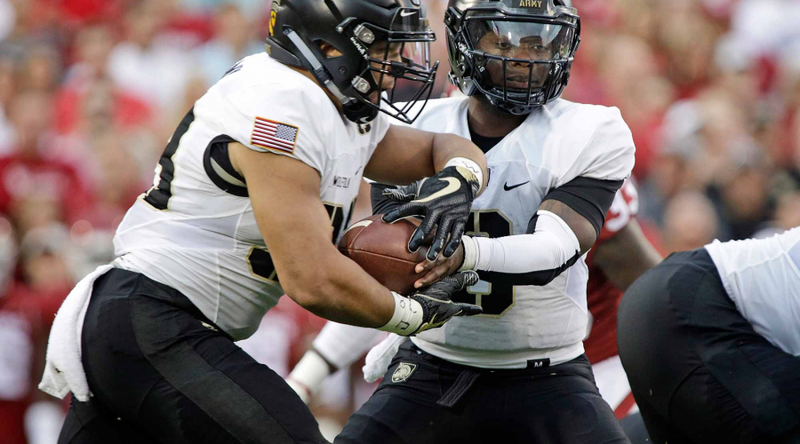 The crew the results of the Spring Game, Quarterback Competition, Fullback Stable, Election of Team Captains, Introduction of Emblem Athletic, Update on Other Army Sports, and the Best Thing from this Month. 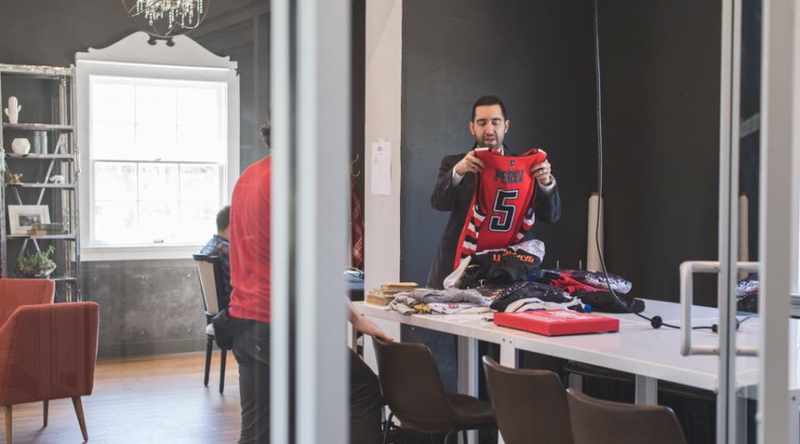 The As For Football's College Football Show presented by Emblem Athletic with your host Rob Wright. During this episode the team gets you caught up on the latest about the Cadet Black Knights of The Hudson. 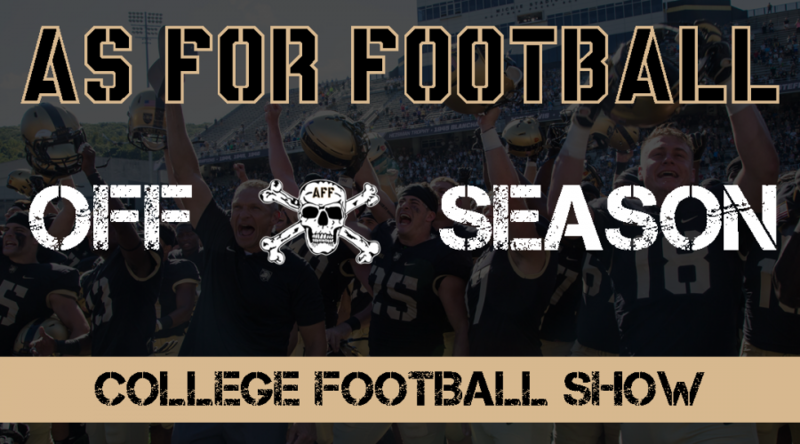 Rob, Dan, and John discuss News Items that you may have missed, Monken's Legacy, Boo's Departure, Army's Scheduling, Coaching Hires, Recruiting Updates, Other Army Sports Updates, and the Best Things that the AFF Team Saw this Month. 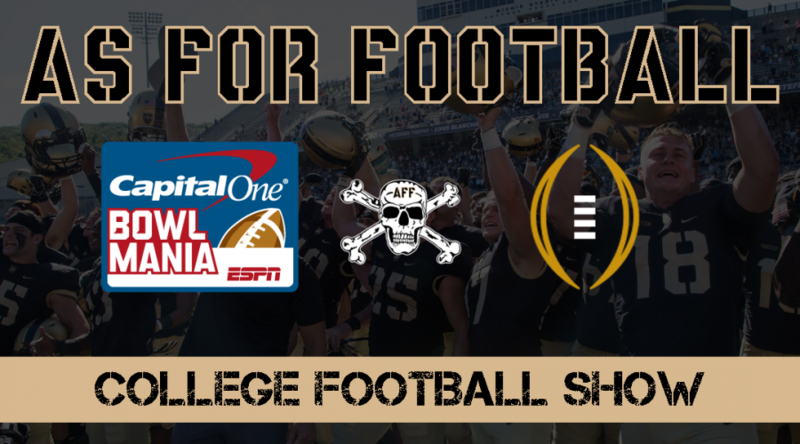 Rob, Dan, and John update the results from the As For Football Bowl Mania Contest, react to the Major Applewhite firing, cover numerous post season accolades, discuss the final 2018 rankings, the promotion of John Loose, debate the importance of 2019 Preseason Rankings, the bias of the S&P+ Ratings, discuss the impacts to top tier programs following the National Championship game, and go over the favorite things of the week. Rob, Dan, and John give their reactions to the game (2:03), cover the records set by the Army Team (5:21), discuss what contributed to the unbelievable win (10:10), debate the best individual performances (17:10), whether this is the greatest Army Team of All Time (26:23), are Bowl Games Meaningless/should players sit out (35:13), pick games through December 29th (42:49), and John's favorite thing of the week (58:55). 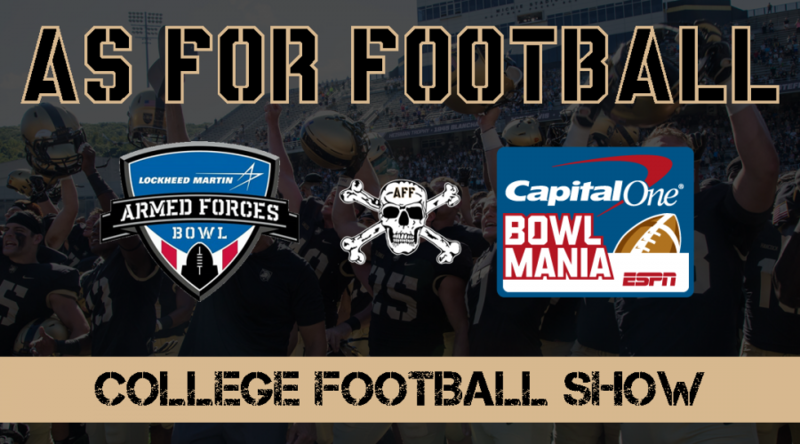 Rob and Dan review the AFF Bowl picks from last week (1:04), Update the Bowl Mania Fan Leaderboard (9:17), Armed Forces Bowl Preview (12:16), What Army Needs to Do on Offense (17:50), What Houston Needs to Do on Offense (23:03), Betting Line Movement for Army vs. Houston (28:30), Best Bowl Games from 12/22 to 12/29 (33:20), and the Rob's favorite things from this week (37:04). 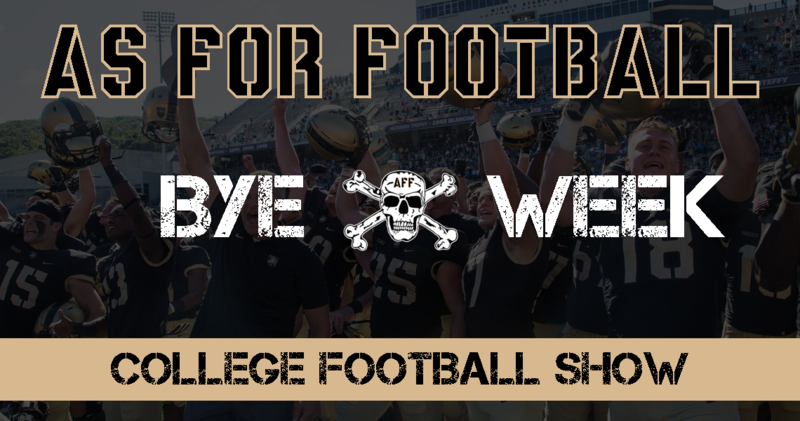 Rob, John, and Dan recap (0:52) and react to Army's Win over Navy (2:30), Option Play of the Week (9:37), Best Bowl Games of Week 1 (11:36), Opening Weekend Bowl Projections (15:56), Week 1 Bowl Projections (25:32), and the Rob's favorite things from this and last week (37:31). 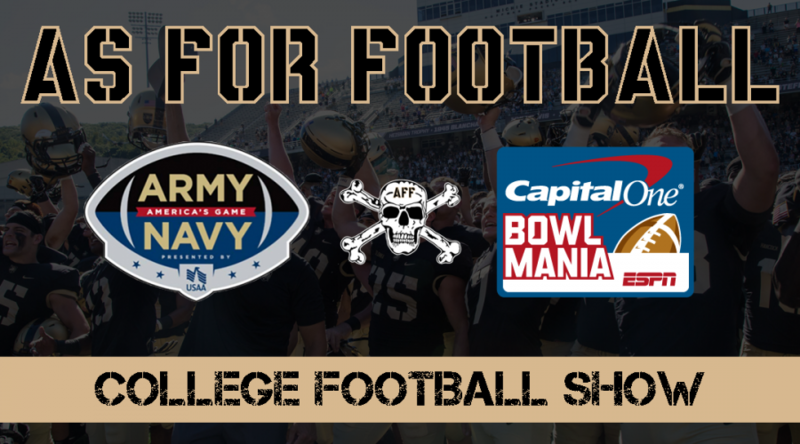 Rob and Dan react to the Bowl Bid (1:40), Placement Theories (2:32), Army vs. Navy Preview (5:07), What Should Army Do on Offense (16:43), What Should Army Do on Defense (20:01), Dan's Favorite Army vs. Navy Memory (24:25), the Best Thing Rob's seen all week (26:00), and the Cadet in the Red Sash Interview with Daniel "The Crazy Colonel" Ragsdale. Rob is joined by Dan Cabeza with guests Austin Luher and Alex Funderburke. The group discusses the AP/Coaches Top 25 (2:11), CFP Rankings (3:41), Army's Recipe for Success Part II (9:46), Army Bowl Projections (18:11), Academy Option Play of the Week (32:33),Play of the Week from CFB (34:29), and Rob tells you the Best Thing he's seen all week (35:06).